Purlift Inc is a Montréal based company providing decorative concrete overlays as an alternative to breaking out and replacing existing concrete slabs, which can be expensive, messy, disruptive, and time-consuming. 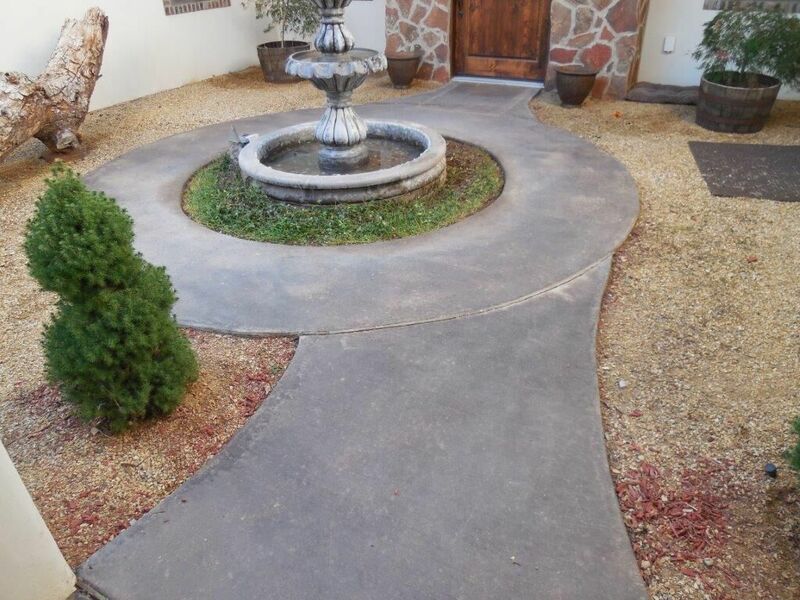 With an overlay, you can give worn, lackluster concrete a decorative makeover or restore it to like-new condition in as little as a day and at a fraction of replacement cost. Improving the look of your concrete slabs is easy with decorative concrete resurfacing by applying a thin layer of cement based material, or overlay, directly on existing concrete. Resurfacing interior floors, including those that are damaged, cracked, or spalled. Restoring old, tired-looking outdoor slabs using a wide variety of decorative options. Using special techniques and tools, skilled installers can rehabilitate most areas by adding pattern, texture, and colour to patios, pool decks, driveways, sidewalks and more. Replicating the look and feel of natural stone, brick, tile, or slate. Smoothing and leveling uneven, spalled, scaled, or worn out concrete surfaces. Reconditioning surfaces quickly with minimal downtime. Polymer overlays cure fast and can support foot traffic within a few hours. Rehabilitate timeworn concrete by resurfacing it with an overlay to bring new life to your home or yard. Whether you want to improve the look of your patio, pool deck, and walkways, or cover up cracks in your driveway, resurfacing is a great option for both indoor and outdoor concrete. This sidewalk is lacking the appeal that the homeowners were looking for. Our overlay system created a durable and beautiful finish for this home's walkway. Cost-effective - Our decorative concrete overlay enables you to avoid the high cost of concrete tear-out and replacement. Cold weather installation - Perma-lay™ Concrete Overlay may be installed in cold temperatures provided there is no precipitation at time of installation. Minimally disruptive - Our method is fast and efficient, thus leading to a minimal amount of downtime. If downtime means money, our solution is for you. Safe - Perma-lay™ Concrete Overlay is water-based and contains no hazardous chemicals. Resilient - When used in conjunction with Perma-lay™ Penetrating Sealer, our decorative overlays are exceptionally resistant to stains, dirt, and grease. They only require occasional cleaning to look their best. Slip-resistant - Ideal for front steps and porches as well as around pools. A wide range of colours - Many colours available to suit anyone’s taste or preference. Guaranteed up to 10 years - If you can find a longer warranty for a comparable product, we’ll match it. Of course, the main reason to choose Perma-lay™ Concrete Overlay is to restore and beautify existing concrete. Determine the colour, pattern, and texture you want, and Purlift can rejuvenate most concrete surfaces and help you to achieve your desired look. Sprayed on, broomed to a texture, or troweled silky smooth, colour can be incorporated into the mix or can be accented with stains and dyes. Applied super-thin, giving the ability to flex, unlike other systems. Can also be applied to wall surfaces. Usually applied as a splatter coat or a knock-down (troweled) finish. A wide array of coloured sealers available. 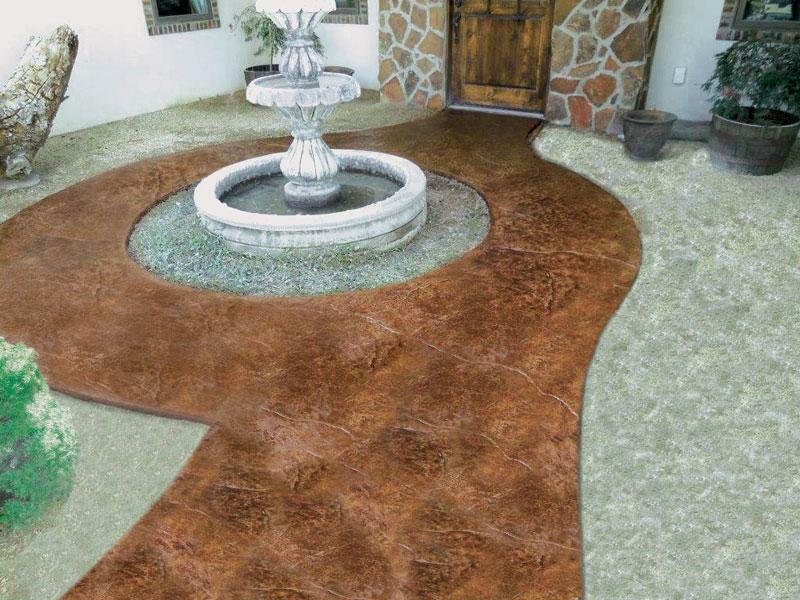 The textured finish is durable and skid-resistant, making it well suited for surfaces such as pool decks, sidewalks, and driveways. Stamped and textured (similar to conventional stamped concrete) in order to mimic brick, slate, natural stone and other materials. A wide array of colour options available. Applied thickly enough to accept texture and cover minor imperfections in the concrete substrate. If your concrete patio or sidewalk is damaged, worn, or outdated, contact Purlift today for a free estimate!